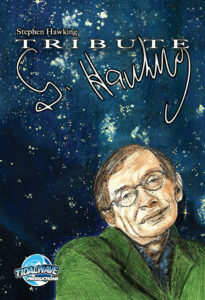 “Tribute: Stephen Hawking” by Michael Lent and Brian McCarthy with art by Zach Bassett and published by Tidalwave Productions, released 2019. Stephen Hawking was obviously intelligent, and probably got “needs to apply himself more” written on his report card more than once. In school, he was funny, had a lackadaisical attitude towards studying, and an apparent lack of respect for authority. 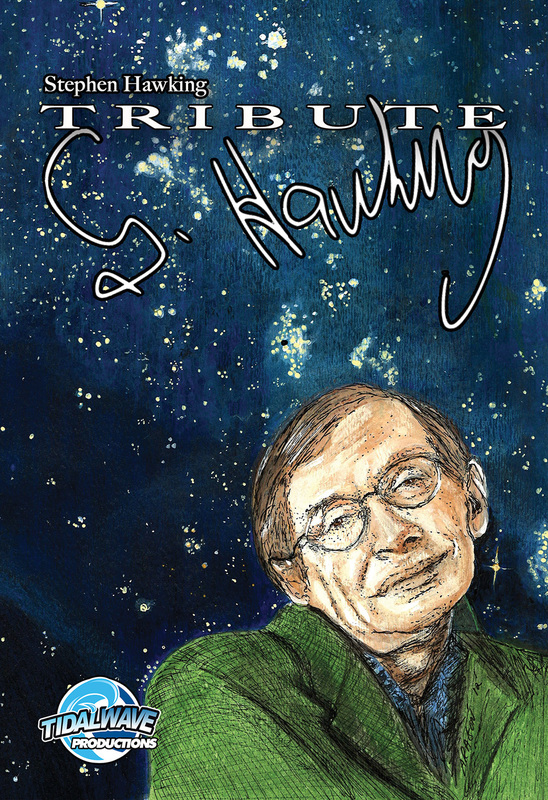 Stephen Hawking, sports team, and opera goer were never phrases I connected in my mind, but there it was in ink on paper, right in between discussions of his science, his disability, and his belief in aliens. The art of the comic is fantastic. I loved some of the more symbolic artistic choices. In one scene, Hawking argued with a professor and the artist set up the confrontation as a wild west shoot out. The references to both popular and classic art– Professor Xavier from X-men and The Creation of Adam, respectively– just highlighted how well rounded and influential an individual Hawking was. I wasn’t very affected when Stephen Hawking died. Plenty of people were, and I know a few of them personally. Still, this comic impressed me with how much content there was for the avid fan and layman alike. You can read more about the comic by clicking the link here. DJ is a third-year Computational Media Major at the Georgia Institute of Technology. They are a Science Fiction Research Fellow, a campus radio host and board operator, and the host of the Sci-Fi Lab Podcast. DJ is a writer, artist, web designer, animator, researcher, and programmer.